All-rounder. 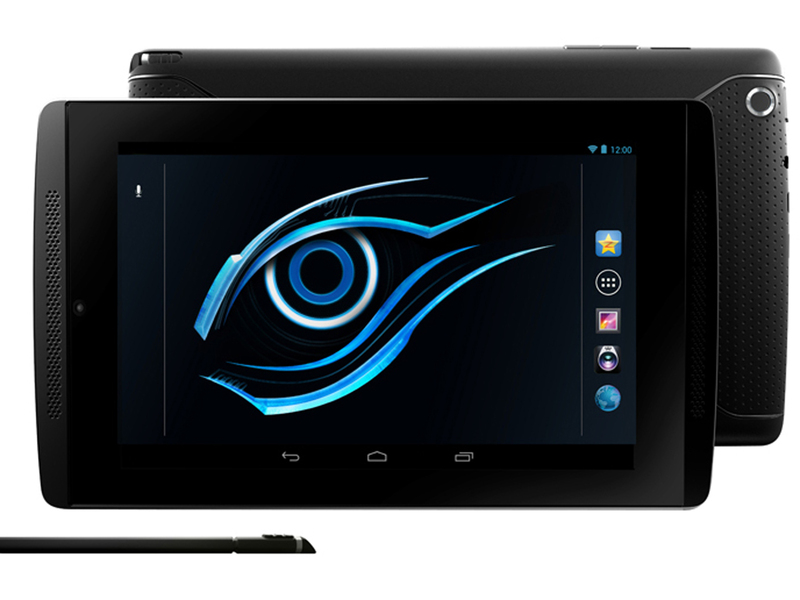 Nvidia’s Tegra Note 7 is a well-equipped 7-inch tablet for just 209 Euros (~$287). SoC is an Nvidia Tegra 4 processor with a clock of 1.8 GHz, which is supported by a GeForce GPU as well a 1 GB RAM. Furthermore, you get 16 GB storage, a powerful battery and Android 4.4.2 KitKat. Is that sufficient for a top-ten position? With the 'Note' branding becoming ever popular, Nvidia created a stunning tablet and stylus combo. Both design and power blend in perfectly. The curvaceous textured back panel combines with the simple and elegant front bezel that holds in the 7 inch Backlit LCD rated at 215 ppi. The fully black colored device fits the Nvidia themes. The Android 4.2 Jelly Bean device comes with a 1.8 GHz quad-core Nvidia Tegra 4 mobile processor, 1GB RAM and 16 GB internal storage. There is microSD support that enables users to expand the storage; a must for a potential game heavy device. The NVIDIA Note 7 features a 5 MP auto focus rear sensor and a 2 MP front facing sensor. Other features include Bluetooth 4.0, GPS and dual-band WiFi. Sound quality is superb with the integrated stereo speakers and the tablet comes with a stylus to enable creative scribbles and note jotting. Power is drawn from a Li-ion battery rated at 4100 mAh.